Stop the itching and soothe your dry skin with these skin nourishing, super easy, hard lotion bars! Have you ever had skin that was so dry it itches? When you scratched the itch, did you possibly leave marks on your skin? Or worse, break the skin due to the dryness? If you experience that severe dry skin, you may reach for a bottle of lotion. However, a bottle of lotion from the store may only give you temporary relief. Your skin may not be fully nourished with what it needs to completely heal. When I lived in Arizona, I would constantly be slathering lotion on due to the lack of moisture in the air. The heat, low humidity, and sunshine all made my skin dry and needing lots of love. Over the counter, drugstore beauty products never seemed to be enough for me. I needed something that my skin could drink in, and stop the painful itching that comes with dry skin. These simple lotion bars may help solve that problem. With skin nourishing tallow from grass fed cows, and healing essential oils, your skin can experience a renewal and soothing like never before. Coconut oil and beeswax combine to make a perfect, hard bar you can take anywhere with you. DIY lotion bars are perfect for yourself, or as a gift. They make a great massage tool as well. To make homemade lotion bars, first, gather all your ingredients. 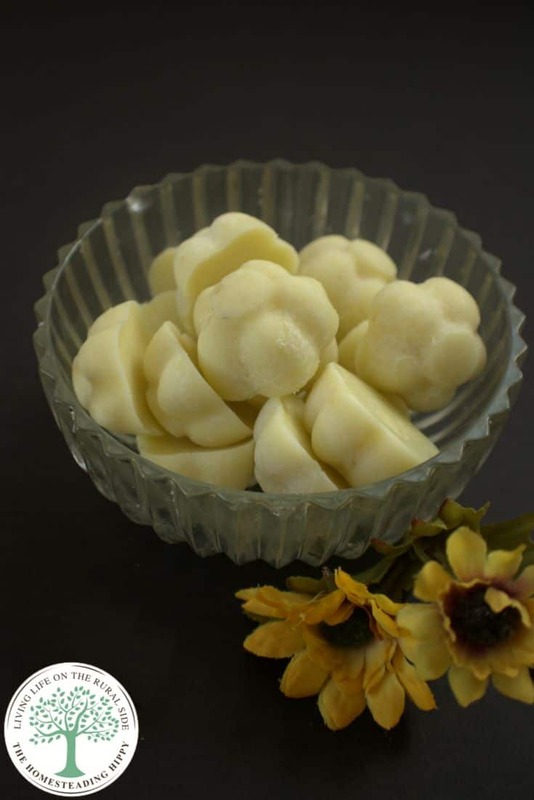 To see how to render tallow so you can make these tallow lotion bars, read the post here. In a heat-proof bowl or in a double boiler, add the oils and beeswax. Heat on medium high heat until all the oil is melted. Pour all the melted oil in molds. Some mold ideas are old muffin tins, a soap mold, or a long plastic drawer organizer. Allow to cool slightly, then add your essential oils. Cool completely, then remove from the mold and store in a covered container. 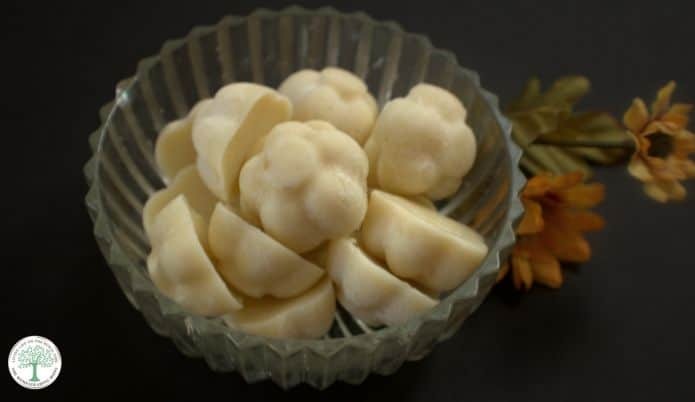 During high heat or humidity, store the lotion bars in the fridge to keep from melting completely and to have a cooling lotion bar for your skin. To make dandelion infused oil for dandelion lotion bars or lip balms, read the post here. To see how to infuse your oils with herbs, read the post here. Gently rub bar over your skin. Your body will cause the lotion to soften and melt. Just a few moments, and the lotion is ready to absorb into your skin. Just a little bit of lotion is all that is needed for soft, smooth, supple skin. 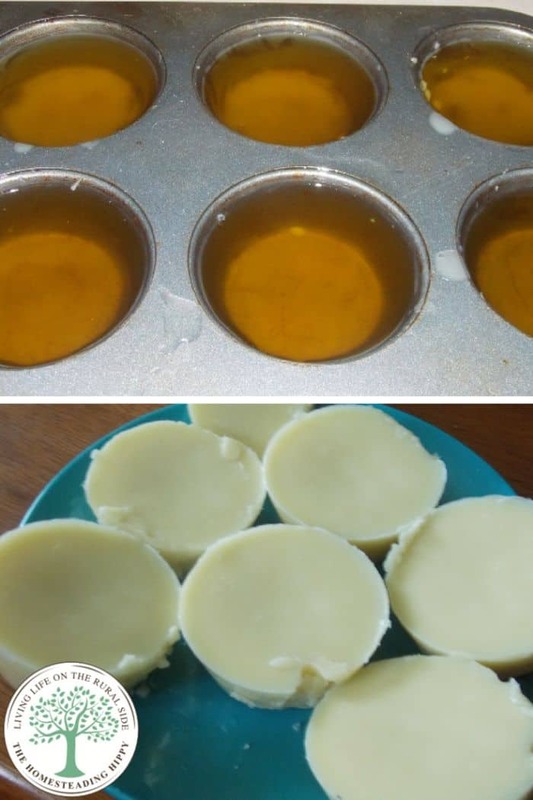 Do you make your own lotion bars? Will you try this recipe? Be sure to pin this to your favorite board for later! how do you use this as lotion for the skin? You just rub the bar over your skin…your body heat will “melt it” as you do. This sounds so easy! I have been hearing about how great tallow is for skin, so I’ll have to give this a try! Love it! We don’t usually have much tallow to be creative with, but last fall, DH got a super fat deer. I’ve been saving the fat to make candles, but now I wanna try lotion bars too! I love making lotion bars but I haven’t made them with tallow yet. I may have to try it next time! How do you get yours to not smell “beefy”? I made some lotion with tallow and have had to add so much other oils to it to get the smell to be less noticeable. Love your website! Do you know how else you can get tallow? These look really awesome! I would call your local butcher shop…they usually give it away or sell it cheaply. These look amazing and very simple! I pinned for later- thanks!!! 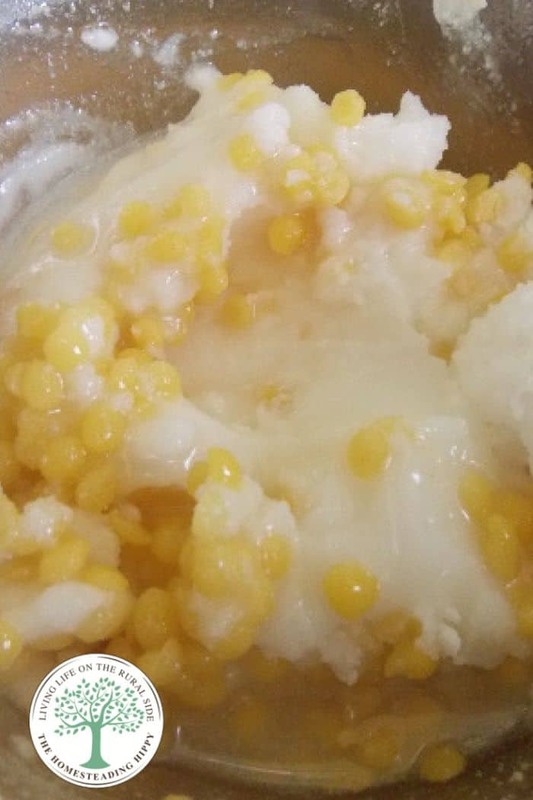 I have heard tallow is great for your skin especially in winter when our skin is always dry. I love a good DIY! Thanks for sharing this idea. They look interesting, how are they used? just rub them on your body where you want. your body heat will “melt” them into a soft soothing lotion that you don’t even really have to rub in. They turned out beautiful too! I cannot wait to try this. You make is look and sound so easy. Thank you.